This ambitious critical history of the variety of disciplines we group together as the social sciences argues that the defining characteristic of social science, both historically and in the present, is ideology. Based originally on a flawed ideal of science, the 'social sciences' have incorporated and refined a set of assumptions about the nature of state and society, assumptions which have been institutionalized with the growth of modern universities. The book is in three main parts. 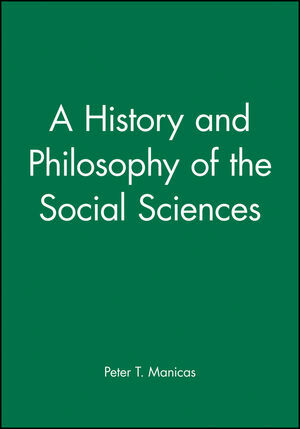 It deals firstly with the history of certain key ides from the early modern period (assessing thinkers from Hobbes and Marx to Hegel, Weber, and Kuhn), before exploring the institutional and social features which have shaped the emergence of modern social science. Manicas goes on to reveal the ideological component of mainstream social science, concluding by suggesting and alternative realist philosophy for the future. Rigorous in scholarship and engaging in presentation, the book offers a brilliant combination of wide-ranging historical scholarship and a firm location in the current theoretical dilemmas of the social sciences. Peter T. Manicas is Professor of Social Science at the University of Hawaii.